The consultation is the most important aspect of facial cosmetic surgery. In this meeting Dr. Kim encourages you to tell him your story. What are your expectations? What are your concerns? After this discussion, he will be able to offer you options for treatment and possible alternatives. His goal is to provide you with all the information you need to choose the best procedure to meet your expectations. Your final result and safety is his highest priority. Facial cosmetic surgery can provide outstanding results for patients looking to dramatically rejuvenate their natural appearance. Attention to detail, years of experience and cutting-edge technology enables Dr. Kim to perform procedures that restore a patient’s youthful look and self-confidence. From consultation to post-operative care, Dr. Kim is passionate about maintaining the goals of his patients. Extensive training and experience in administering local and IV anesthesia provides comfort and safety to his patients during their procedure. Following an operation, he is always on call and is available to answer any questions you may have about your recovery. Call today to schedule a consultation to learn how Dr. Kim can transform your self-image with facial cosmetic surgery. 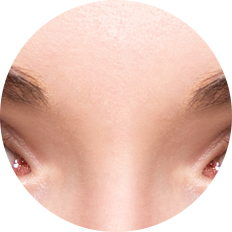 A Browlift raises the eyelids and results in a youthful, awake appearance. 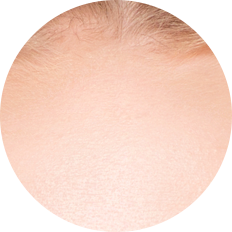 A browlift can correct extra skin on the eye lids, a low brow position and wrinkles on the forehead. 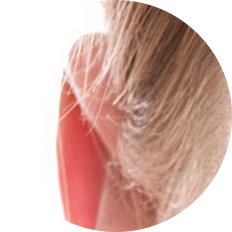 Otoplasty, or ear surgery, is reserved for patients who have severely protruding ears. The result of this procedure is a natural appearance and a renewed sense of self-confidence. Facial implants are a fantastic, permanent correction helping to restore a more natural anatomy of the face. The rhinoplasty procedure can reshape the bone and cartilage of the nose into your desired look. Botox and Dysport are designed to safely relax muscles in the face revealing a fresh, alert, youthful appearance. Sculptra is PLLA, poly-L-lactic acid, which is injected into the skin over the entire face and concentrated in areas where increase fullness would benefit. Blepharoplasty, or eyelid surgery, can correct both upper and lower eyelid concerns and refresh the overall look of the face. Laser Resurfacing is capable of removing extensive sun damage, wrinkles, hyper pigmented areas, and even scars from the surface of the skin. Scars of the face or neck can be corrected through the use of steroid injections, laser or surgically cutting the scar out. Lip augmentation is a very popular procedure for those who would like fuller, more defined lips. Facelifts are procedures designed to correct signs of aging. This procedure effectively tightens skin and alleviates wrinkles around the cheeks, jowls and neck. Dr. Kim can surgically repair torn or stretched earlobes and reduce the size of naturally large earlobes. Laser or radio frequency technology is used to remove moles which minimizes scarring. TCA Peels are an effective way to resurface and refresh the skin under the eyes. This treatment is helpful for smoothing wrinkles and irregular pigmentation. Cosmetic tissue fillers are one of the most versatile, non-invasive facial cosmetic procedures available. Fillers are injectable materials that are designed to restore definition to the face in the lips, nasolabial folds, forehead creases and other areas that may lack definition. A necklift is a procedure that is ideal for a patient who is experiencing sagging skin and the formation of fat within the neck that does not affect the appearance of the face. Fat grafting is one of the latest and best techniques in facial rejuvenation to volumize the face and also greatly improve skin quality. Facelifts are procedures designed to correct signs of aging. This procedure effectively tightens skin and alleviates wrinkles around the cheeks, jowls and neck. We provide three distinct types of facelifts at our Suntree/Rockledge, Florida facility. For a full rejuvenation of the face and neck, a necklift and laser resurfacing may be performed in addition to any of these procedures to provide the patient with a complete transformation. An abbreviated facelift is ideal for those who have noticed the toll that gravity and sun damage has taken on their face and neck. The least involved of the three facelifts, this procedure requires two hours to perform with only seven to ten days healing time. Incisions are made in the natural crease in front of and behind the ears and the skin is gently lifted and tightened. This surgical procedure removes wrinkles in the cheeks, neck and chin as well as corrects small jowls. 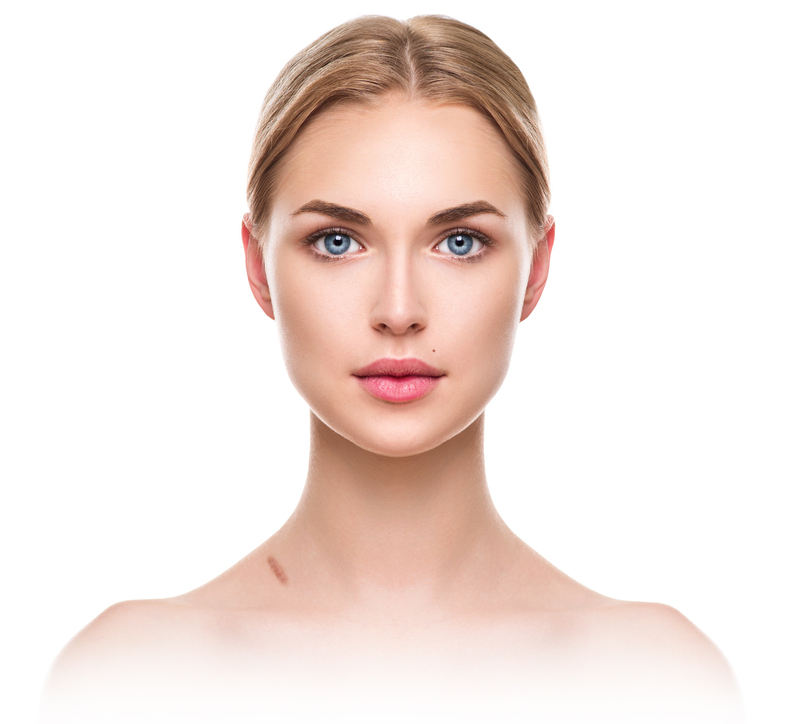 A mini-facelift is more involved than an abbreviated facelift and is ideal for patients who are beginning to notice more advanced signs of aging including large jowls, deepening wrinkles and developing fat deposits under the chin. This procedure takes three hours to perform and 9 to 12 days of recovery time. The incisions are located in the same area as in the abbreviated facelift and more skin will be tightened to restore a youthful profile. Traditional facelifts are fantastic procedures for patients who wish to dramatically rejuvenate the look of their face and remove advanced signs of aging. Neck banding, heavy jowls, deep wrinkles and fat deposits in the neck add years to a patient’s image, yet can be corrected in a four-hour facelift procedure. Because traditional facelifts are much more involved the down time can be up to three weeks, however the results are lasting and impressive. A necklift is a procedure that is ideal for a patient who is experiencing sagging skin and the formation of fat within the neck that does not affect the appearance of the face. Necklifts often involve liposuction of fat deposits and small incisions behind the ears and under the chin to tighten skin, remove wrinkles and restore a youthful appearance. This procedure can be performed in tandem with a facelift to complete a facial rejuvenation or on its own to improve the look of the neck. A browlift is an incredible procedure and is one of Dr. Kim’s favorite to perform because of the impressive results it creates for his patients. An incision is made at the hairline and the skin of the forehead is tightened. This raises the eyelids and results in a youthful, awake appearance. 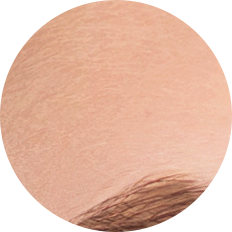 A browlift can correct extra skin on the eye lids, a low brow position and wrinkles on the forehead. 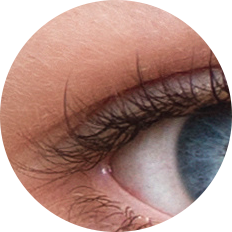 Eyelids bear the brunt of age, gravity and sun damage. The result is pronounced bags and overhanging upper eyelids. Blepharoplasty, or eyelid surgery, can correct both upper and lower eyelid concerns and refresh the overall look of the face. Incisions for this procedure are made in the natural creases of the eye where excess skin and fat deposits are removed. Patients who complain about always looking tired say that eyelid surgery gave them a refreshed look. Rhinoplasty is a procedure that reshapes the nose. Whether you have a pronounced hump, crooked bridge, or a pronounced nasal tip, rhinoplasty procedure can reshape the bone and cartilage of the nose into your desired look. A small incision will be made inside and underneath the nose. The nose is then reshaped to the patient’s desire. This procedure is ideal for patients who have suffered disfiguring trauma, or simply do not like the cosmetic appearance of their nose. This procedure involves injecting a viscous filler into areas of the nose in order to achieve a more aesthetically pleasing structure. 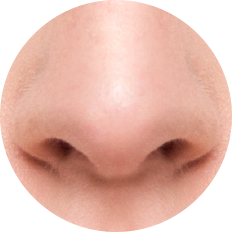 For example, a bothersome nasal hump or sagging tip can be corrected with this technique. This procedure is minimally invasive. 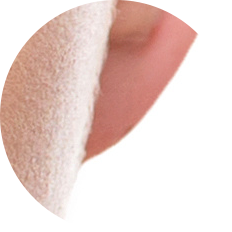 Otoplasty, or ear surgery, is reserved for patients who have severely protruding ears. In this procedure Dr. Kim will make a small incision behind the ears and reposition them closer to the head. The result is a natural appearance and a renewed sense of self-confidence. Our ears continue to age as we do, however the excessive amount of cartilage that causes protruding ears can be diagnosed in children as young as 8-years-old. Otoplasties can be performed on children and adults alike. Earlobe size and damage can also be cause for concern for some patients. Dr. Kim can surgically repair torn or stretched earlobes and reduce the size of naturally large earlobes in some patients. Facial implants are desirable for a number of reasons. Loss of bone density and newly-accumulated fat deposits can cause once prominent chin and cheek bones to retreat into the face. Also, one can be simply born with a small chin. In either case permanent facial implants are viable options for correction. An incision inside the mouth or below the chin enable implants to be placed in the skin and restore definition to these areas of your face. Facial implants are a fantastic, permanent correction helping to restore a more natural anatomy of the face. Cosmetic tissue fillers are one of the most versatile, non-invasive facial cosmetic procedures available. Fillers are injectable materials that are designed to restore definition to the face in the lips, nasolabial folds, forehead creases and other areas that may lack definition. In some cases, they can also be used as alternatives to other procedures. We provide several types of cosmetic tissue fillers to provide you with optimal results. During a consultation with Dr. Kim, we can decide which cosmetic tissue filler may help you achieve the look you desire and where these fillers will be injected to restore fullness or remove wrinkles. Collagen is the substance in our bodies that keep our skin looking young. As we get older collagen in our bodies depletes which results in wrinkles, sagging skin, and loss of definition. Sculptra is PLLA, poly-L-lactic acid, which is injected into the skin over the entire face and concentrated in areas where increase fullness would benefit. Over the course of a few months and few subsequent treatments, new collagen is produced. Sculptra treatments result in a natural, full look that removes wrinkles and adds fullness to the skin. Botox and Dysport are a couple of the most recognized cosmetic treatments available today. They are extremely effective at smoothing both deep and fine wrinkles in the face. Botox and Dysport are designed to safely relax muscles in the face revealing a fresh, alert, youthful appearance. The results of Botox or Dysport injections last for about three months and are virtually painless. A small prick will be felt at the injection sites and results can be seen within 5 to 7 days after the treatment. Lip augmentation is a very popular procedure for those who would like fuller, more defined lips. Dr. Kim uses Restylane to plump the lips and achieve the look you desire. The procedure takes 20 minutes and over the course of the year, the filler reabsorbs back into the body. Restylane is made of hyaluronic acid which is found naturally in the body. It dissolves at a natural rate, or can be immediately reversed if the results do not please the patient. One of the most effective ways to correct the skin of the face is utilizing a fractional CO2 laser. This laser is capable of removing extensive sun damage, wrinkles, hyper pigmented areas, and even scars from the surface of the skin. Laser resurfacing is a great addition to a facelift or other cosmetic procedures because it “polishes” the skin and augments the results of other procedures while rejuvenating, refreshing and smoothing the surface of the skin. To get the most out of laser resurfacing procedures two treatments are recommended. Dr. Kim feels so strongly that a second treatment brings about exceptional results that he will perform the second laser resurfacing treatment at no cost to the patient. TCA Peels are an effective way to resurface and refresh the skin under the eyes. This treatment is helpful for smoothing wrinkles and irregular pigmentation. It is particularly effective at tightening the skin under and around the eyes. Unsightly moles can diminish self-confidence. 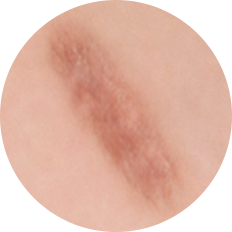 These blemishes can be removed without surgery. Laser or radio frequency technology is used to remove moles which minimizes scaring. Scars of the face or neck can be corrected through the use of steroid injections, laser or surgically cutting the scar out. To determine which is best for you, size and location of the scar must be evaluated. Fat grafting is one of the latest and best techniques in facial rejuvenation to volumize the face and also greatly improve skin quality. The procedure involves removing fat from the abdomen, inner thigh, or hips and transferring it to sunken hollowed areas of the face such as the cheeks, temples, or eye hollows. Fat can also be grafted to deep lines such as nasolabial folds, the “angry 11s”, or any other undesirable fold in the facial region. The procedure is performed with cannulas or “wands” so there are no incisions that are made. The procedure is minimally invasive.